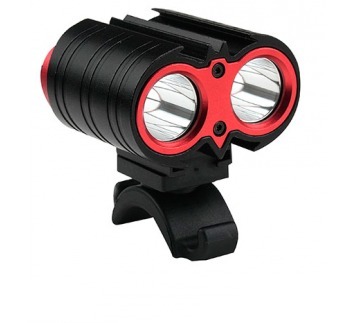 High Output rechargeable bike lights act as bike torches and enable you not only to "be seen" but "to see" as well. As a very general guideline 200-500 lumens of power will allow you to see a nice pool of light 2-5 metres in diameter and from 5-15 metres in front of you. 500 -1000 lumens is a very bright light and will illuminate a 3-7 m circle 5-25 m ahead.